Road games don’t faze Bowling Green. Instead, the Falcons are thriving on playing away from the Ice Arena. They’re 7-2-1 overall this season, including a 5-1-1 record on the road. Their next road test comes Saturday at Ohio State in the back end of a home-and-home series. The teams play Friday at BG. Faceoff is 8:07 p.m. in BG and 7 p.m. in Columbus. The Falcons, 5-1 in the Western Collegiate Hockey Association, already own league sweeps at Alabama-Huntsville and Alaska (Fairbanks) this season. 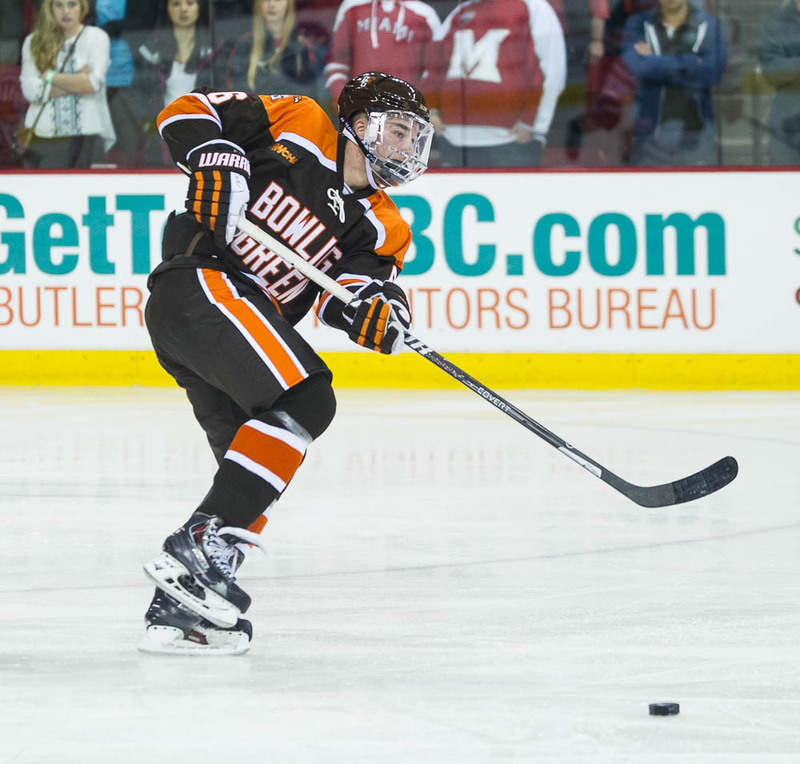 Most of BG’s freshmen have played two or three seasons of junior hockey, and begin school as 19, 20- or 21-year-olds. “I don’t think our guys get too high or too low either way,” Bergeron said. The Falcons have won four playoff series during the last three seasons, with three of those wins coming on the road. Even when BG hasn’t played well on the road this season, it still has found ways to win most nights. In a 5-4 win at Clarkson Oct. 25, the Falcons held a 5-1 lead in the second period. Clarkson then scored three straight goals to pull within one goal with 4:20 to play, but BG held on for the win. “A lot of it has to do with resiliency,” Bergeron said of the road success. “The resiliency the last four years … to go through what we’ve gone through with playoff series and everything else, it can only help. You can’t help but build up some resiliency and confidence by playing on the road in the playoffs. “The group is a resilient group,” Bergeron added. “Even if you get punched in the face first or give up that first goal, our guys don’t react a whole lot. They just keep playing. That’s just something we’ve built up over four years. TOUGH SCHEDULE: Although OSU is 2-5-1, it has faced a difficult schedule. The Buckeyes lost (5-1, 2-1) to No. 7 at Miami in a home-and-home series, split with No. 16 Providence at home (5-4 win, 2-1 loss) and lost twice at home last weekend to No. 14 Nebraska-Omaha (4-1, 4-3). Providence was ranked in the top five earlier this season. OSU also earned a 3-3 tie and a 4-1 win Oct. 31-Nov. 1 at Canisius, which debuted its home arena the weekend the Buckeyes played there. The Buckeyes begin Big Ten Conference play Nov. 20-21 against Michigan State. OSU STATS: The Buckeyes are scoring 2.38 goals per game and have converted 6 of 23 power-play attempts (18.2 percent). Defensively, OSU is allowing 3.12 gpg and has killed off 23 of 28 short-handed situations (82.8). PERSONNEL: Senior forward Tanner Fritz is the Buckeyes’ leading scorer with nine points. He has three goals and a team-best six assists in 10 games. Sophomores Matt Tomkins and Christian Frey have split time in goal. Tomkins has a 1-3-1 record in five games, posting a 2.35 goals-against average and a .906 save percentage. Frey has a 1-2 record, a 4.01 goals-against and .903 save percentage in four games. Both started a game against UNO. Tomkins was a seventh-round NHL draft pick of the Chicago Blackhawks in 2012. GOOD STARTS: The WCHA has three of the country’s 10 best winning percentages. 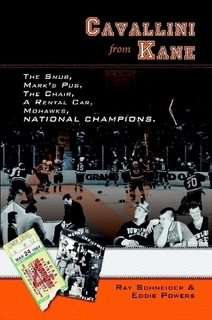 Michigan Tech, with an 8-0 record, is the only undefeated team in the country. Northern Michigan (.813, 6-1-1) is tied for fifth, and the Falcons are tied for 10th (.750, 7-2-1). Minnesota State is tied for 13th at .700 (7-3). NONLEAGUE SUCCESS: The WCHA has the second-best nonleague winning percentage among the NCAA’s six leagues. The WCHA has a .561 mark (21-16-4) in nonleague play, including a 10-5 (.667) record against ranked teams. The WCHA is 9-3-1 against the Big Ten, 2-1-1 against the Eastern College Athletic Conference, 3-2-1 against Atlantic Hockey, 2-3-1 against Hockey East, and 5-7 against the National Collegiate Hockey Association. The Falcons are 2-1-1 in nonleague play, splitting with Miami of the NCHC and beating and tying Clarkson of the ECAC.